Reception: Friday, April 7th, 6-8 p.m.
Artist’s Talk: Saturday, April 8th, 2:00 p.m. 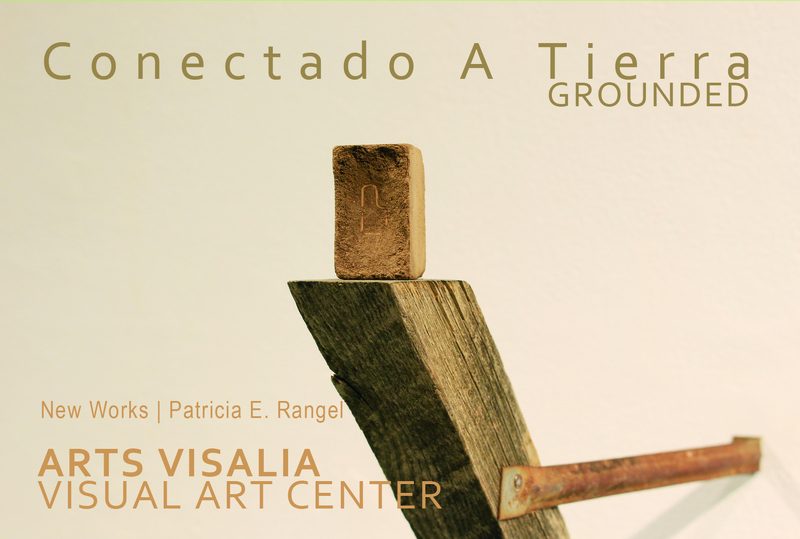 Sculptor and Installation artist, Patricia Rangel, will build and exhibit new works in a show entitled, Conectado a Tierra, Grounded. Patricia is a native of Dinuba. She graduated in 2015 from California State University, Long Beach with a Masters in Fine Art. She now teaches part time in the Metal and Wood programs at CSULB and is a shop instructor at the Art Center College of Design in Pasadena. Patricia collects materials from places that hold personal significance–orchards, roadsides, her grandfather’s ranch, her parent’s backyard, and Smith Mountain Cemetery in the San Joaquin Valley. She works the dirt by mixing, using, reusing, and re-contextualizing it. Susceptible to decay in their own way, Patricia’a sculptures serve as an ongoing exploration of growth, change, and loss.